Core Chemicals (Mumbai) Pvt Ltd.
Mr. NANDU H. GUPTA (M.D.) has been associated with the speciality chemicals for Agro industry for more than 3 decades. 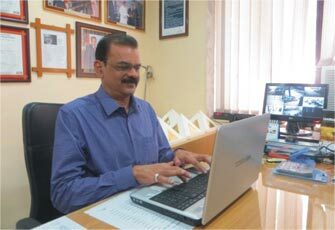 He was a Director & a partner in AKRUR CHEMICALS PVT.LTD. and GLOBE INDUSTRIES respectively. These companies are manufacturing speciality chemicals used in agro industries for the last 30 years. Mrs. PRAMILA N. GUPTA (Director) is a Master of Science technocrat having two gold medals to her credit from Holkar University, Indore. She has over 20 years experience in the field of Surfactants and Emulsifiers technology. Mr. S. K. VASHISHT (Sr. VP Techno Commercial) is a progressive thinking technocrat with an eye on a wide spectrum of speciality chemicals for Agro industry. A postgraduate in Surfactants chemistry, has worked in the past at senior positions with MONTARI INDUSTRIES, HENKEL CHEMICALS he has working experience of more than 20 years in the field of Emulsifiers, Surfactants & Adjuvants used by Agro and Crop protection business. Mr. YOGESH MALI (Head Q.C. and R & D) is an experience technocrat and has working experience of more than 5 years in quality control and research of Ethoxylates, Emulsifiers, Adjuvants and additives used in Agro Chemical industry. He is an ex HIKAL LIMITED employee. Mrs KRITIKA A. PATEL (G M Marketing & Business Development) is a MBA from H. R. College of Commerce & Economics having wide experience in Business Management.She has thorough knowledge of varieties of diverse surfactants used in crop protection and agro chemical industries. Mr. S. KRISHNAMURTHY (G M Audit & Administration) is a graduate and has working experience in Audit and Administration of more than 1 decade in MNCs like BARON INTERNATIONAL PVT. LTD, AKAI CONSUMER ELECTRONICS LTD and VIDEOCON INDUSTRIES. Mr. SUDHIR SHETTY (G M Finance & Accounts) is a graduate in commerce and has working experience in the field of finance and accounts for over a decade.He has thorough knowledge of various financial activities and policies of corporate companies. He also has a complete knowledge of the Government taxes and other policies. Mr. S. K. DAS (G M - Project, Maintenance & HSE) is an experienced engineer and has working exerience of more than 12 years in projects, plant maintenance, health safety and environment.